Alena and Craig wanted to make sure that their wedding day was unique to them. 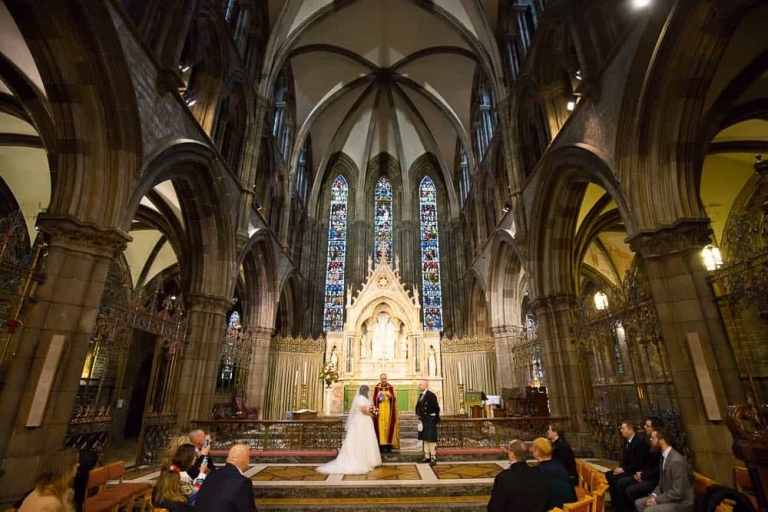 By arranging the wedding ceremony at historical St Mary’s Cathedral in Edinburgh. They did just this. 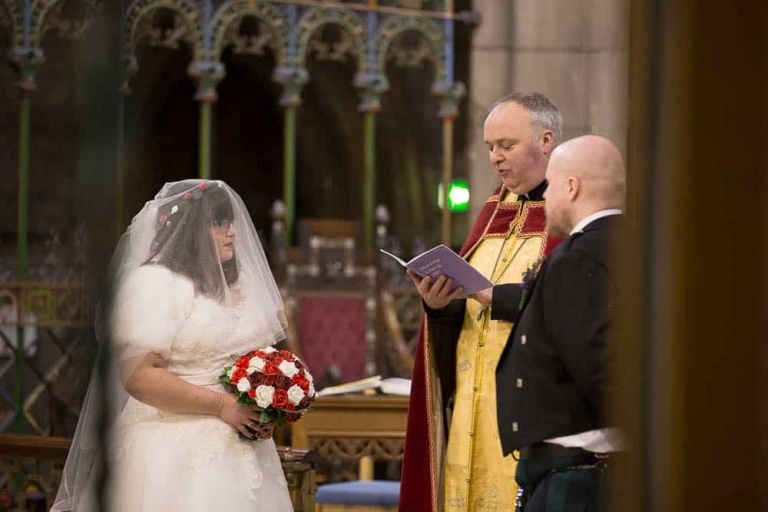 The only thing that they had not planned for was the arrival of Storm Doris coinciding with their wedding (strong wind up 80mph, heavy rain and even snow!). It was no matter though. 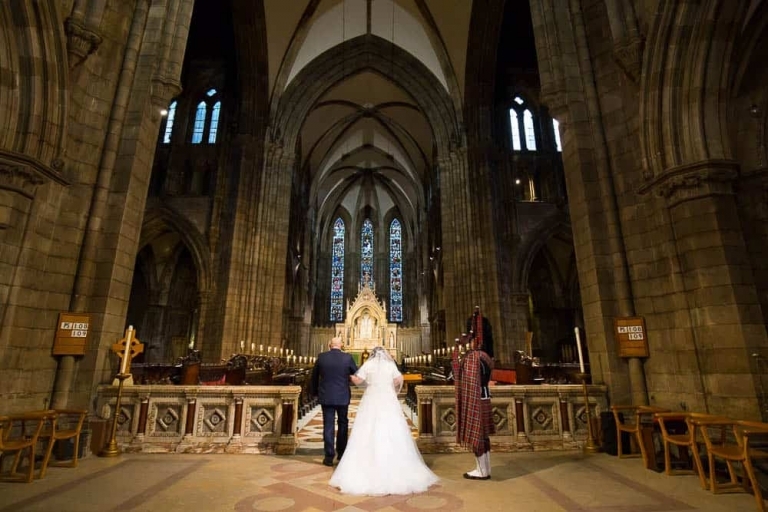 Neither the bride, groom or guests let this minor factor dampen the wedding day. 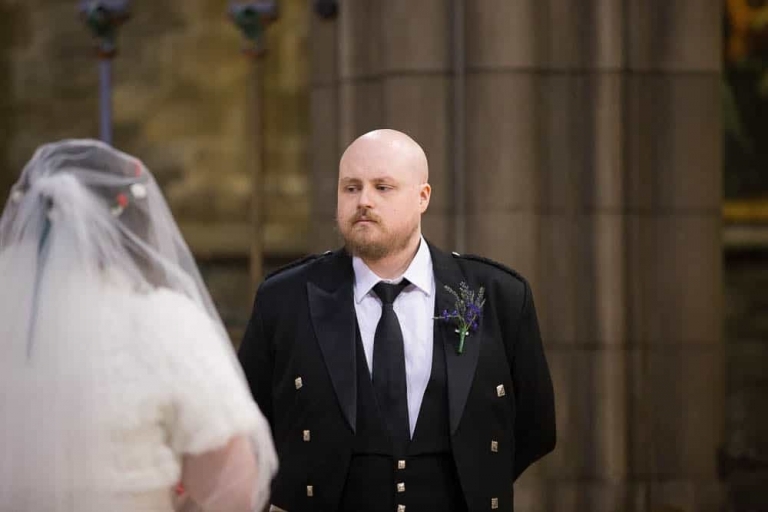 For a wedding photographer, days like this can be a challenge, but if the guests and the bride and groom are as relaxed as Alena and Craig the day just flows. People make a wedding, not the weather, the flowers, the food. The people. Alena & Craig, I wish you many wonderful years together!